Modern Land Forces Commanders face a difficult challenge in ensuring their land forces are adequately trained and prepared for future operations. Uncertainty of the nature of future threats and the environments that will define future conflict are some of the main concerns that will affect the development of military doctrine, training capabilities and procurement plans in the coming years. 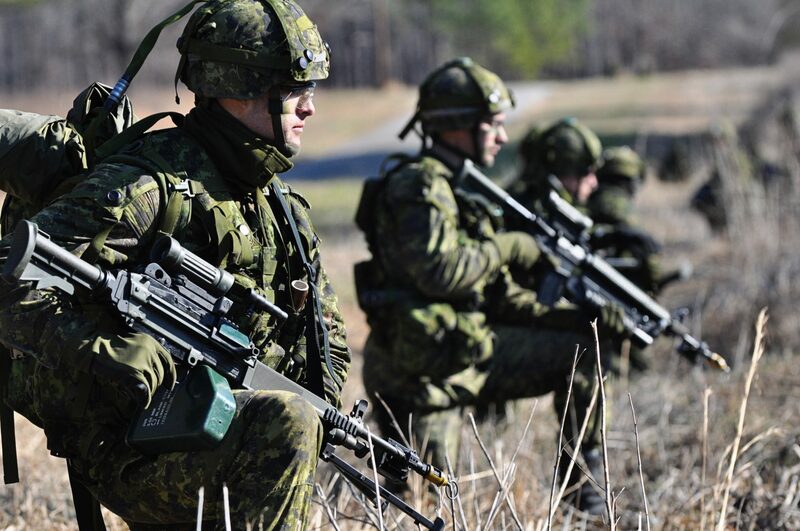 Ahead of the Land Forces Training conference taking place in London this year, Defence IQ spoke to Commander of the Canadian Army Doctrine & Training Centre, Major General Stephen Cadden, about the modernisation of the Canadian training modernisation programme and the importance of industry in delivering the right solutions. 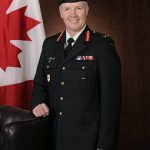 Major-General Stephen Cadden joined the Canadian Armed Forces in 1984, and attended the Royal Military College Saint-Jean (RMC) Saint-Jean, graduating in 1989. He served with the 8th Canadian Hussars (Princess Louise’s) in Lahr, Germany, serving as both a tank and reconnaissance troop leader, and with The Royal Canadian Dragoons as a squadron commander, Commanding Officer, and Regimental Colonel. He has been employed internationally in Germany and Jamaica, and deployed operationally to Afghanistan (ISAF liaison to CJTF 76) and Haiti (Chief of Staff, MINUSTAH military component). Domestically, he has participated in Canadian Armed Forces relief efforts during the 1998 Ice Storm, the 2010 G8/G20 Summits, and a number of domestic operations in Ontario. Major-General Cadden is qualified to command Leopard C1 and C2 main battle tanks, as well as Lynx, M113, LAV and Coyote reconnaissance vehicle. His extra-Regimental employment includes tours as the Canadian Forces Base Petawawa Base Personnel Administration Officer, squadron commander at the Royal Military College of Canada (RMC) Kingston, Chief of Staff of 4th Canadian Division, Commander Canadian Forces Base Kingston, and twice as Canadian Army HQ Staff (Director Land Strategic Plans 4 and COS Army Strategy). Major-General Cadden has earned a Bachelor of Arts in Military and Strategic Studies, a Masters of Defence Studies and a Masters of Arts degree in Military Security and Defence Policy. In 2009, he completed the National Security Programme at the Canadian Forces College in Toronto. Could you talk about the Canadian Army Doctrine & Training Centre’s role in supporting the overall modernisation of Canada’s training programmes for Land Forces? The Canadian Army Doctrine & Training Centre analyses all of the land force commitments to Canada’s defence, as outlined in our defence policy. We provide training on behalf of the commander to ensure that the army is able to force generate all of the mission elements that the government has told us to be prepared to deploy. We take care of three elements concurrently. Firstly, we ensure that we consistently improve the realism and the relevance of training for contemporary, full spectrum operations. Secondly, we look to reduce the cost of training where possible so that funds can be constantly reinvested into other training platforms or systems tomorrow. Thirdly, we assist in the introduction of new systems and scenarios that will allow us to be ready for the battlefield of the future. We do this by ensuring we analyse all of our current army structures or processes, to make sure they’re optimised for developing threats, such as providing command and control in C2 denied environments as the cyber threat grows. We are ensuring that we have redundancy through our systems, using multiple technologies and platforms; for example, if one methods of exercising C2 is denied to us, other options exist. There would also be a case of reducing switches between radio systems of VHS of HF, alternating along with satellite, or event throwing some older systems, such as dispatch riders and other methods of disseminating information and controlling forces on the ground. As potential for both near-peer and opponent overmatch increase for all of our western forces, we make sure that our groupings and structures support more of what we refer to as ‘adaptive disbursed operations’, where we can de-aggravate our forces to minimise targets for opposing air and artillery capabilities. As a side note, Canada has integrated defence departments and we have a specific element devoted to research and development. We have made a significant investment for the future in ensuring that the field force can identify current or future challenges. We’ve set aside a specific amount of money with a streamlined process, to allow industry to get involved, to help tackle that programme, and provide us with data solutions that we can review and decide on whether we wish to invest in or not. Thanks to our friends at Defence IQ for allowing us to publish this snippet of the interview. The full interview is available through Defence IQ here. Major-General Cadden assumed command of Canadian Army Doctrine and Training Centre Headquarters on 6 July 2018.